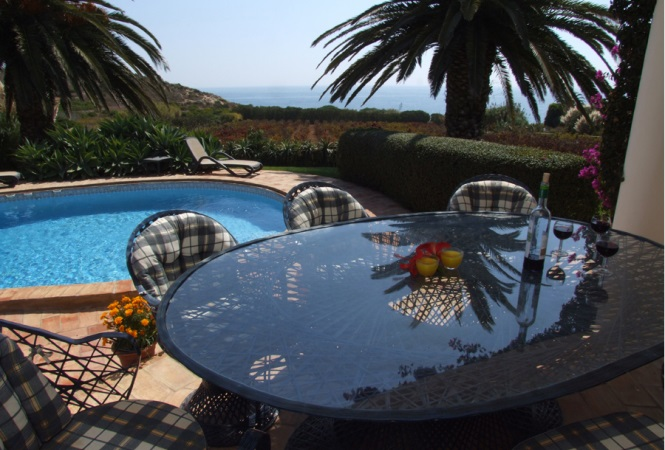 This lovely villa, which is all on one level and walled and gated for privacy, is in a very quiet location on the clifftops between Praia da Luz and Burgau. It stands in extensive private grounds which include a vineyard stretching almost to the ocean front. 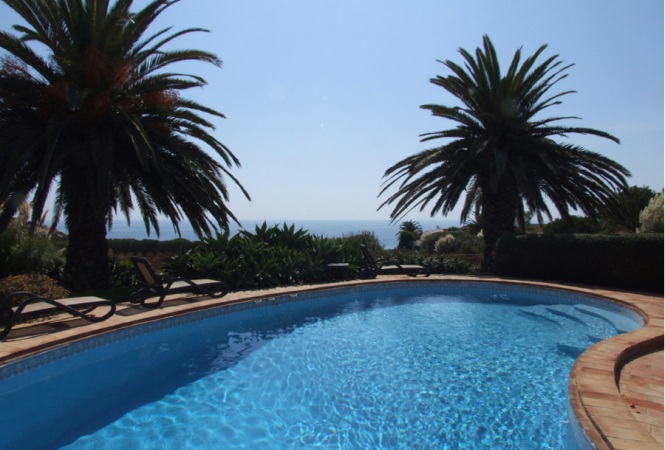 The kidney-shaped pool is approximately 10x5m and can be heated at a supplementary cost. 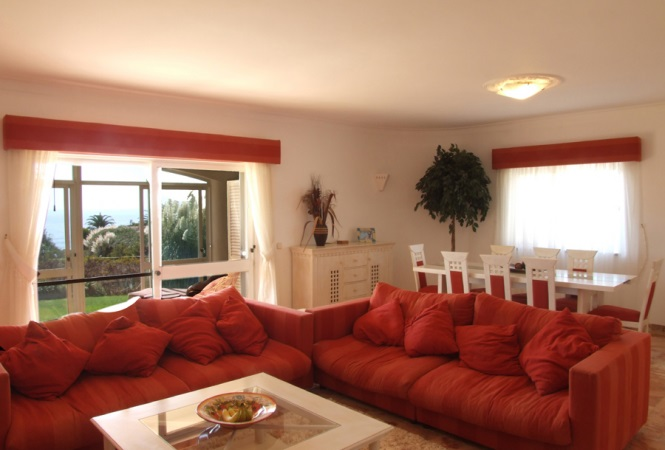 It is surrounded by terracing with plenty of garden furniture. Lovely lawn area, mature flowering shrubs and fruit trees. 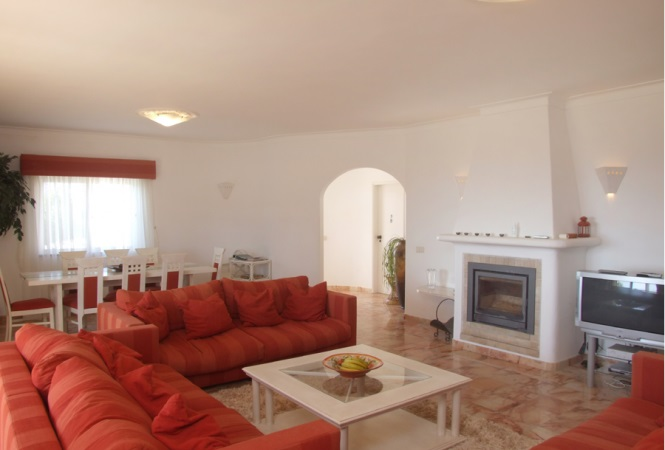 The entire villa has been refurbished and the accommodation offered is extremely comfortable and attractive. Modern kitchen with granite work surfaces . 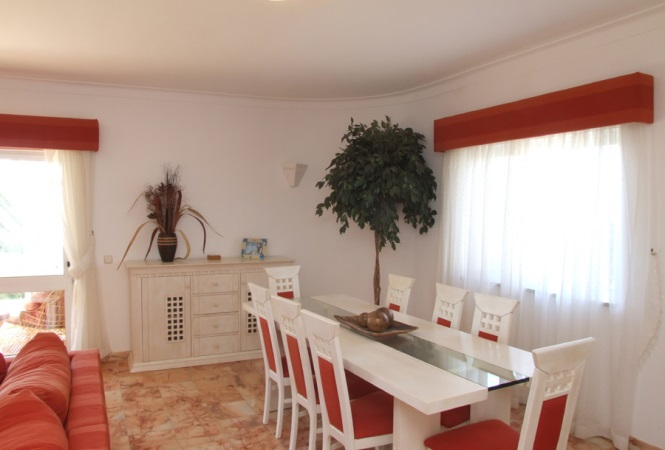 Very spacious dining/sitting room with sea views. Sliding doors lead to lovely conservatory with superb views over the vineyard to the ocean. 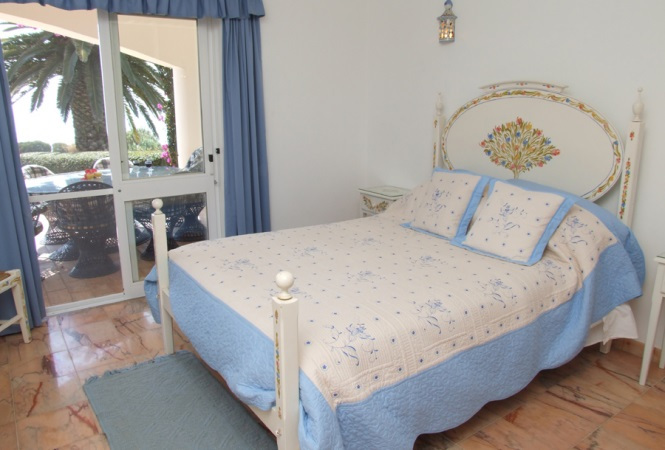 Master bedroom with King size bed, wardrobe with mirror doors, patio doors to terrace and sea views. 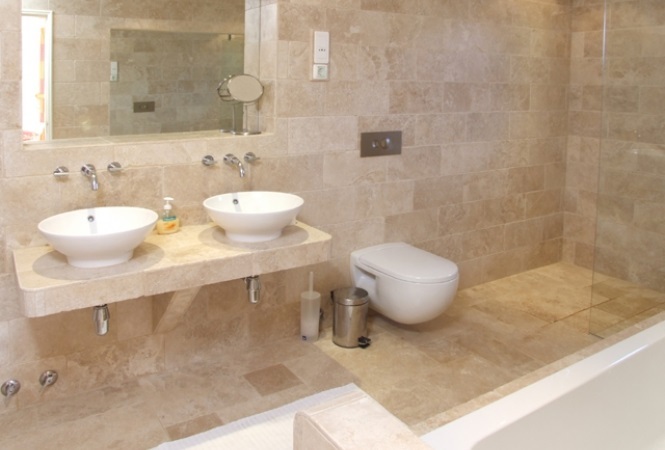 En suite bathroom with bath, separate shower and double vanity unit. 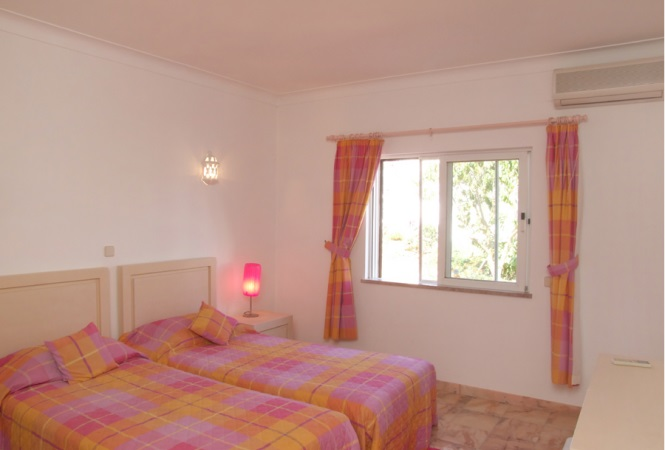 Second double bedded room with mirrored wardrobe, pretty hand-painted Alentejo furniture and doors to terrace. 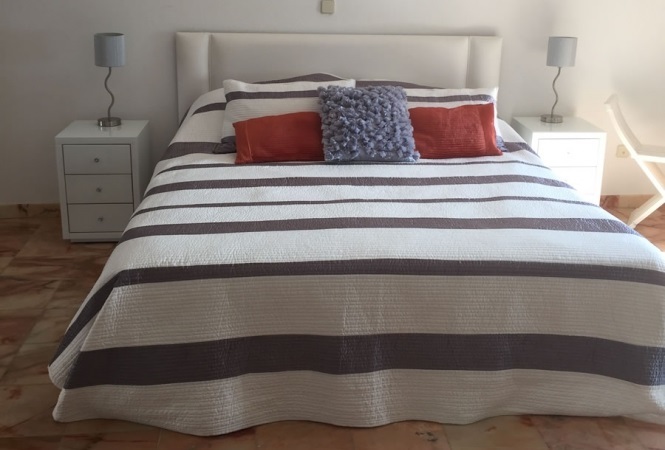 Two twin bedded rooms and a family bathroom. Car essential and private parking available.